You are going to Watch One Piece Episode 411 English dubbed online free episodes with HQ / high quality. 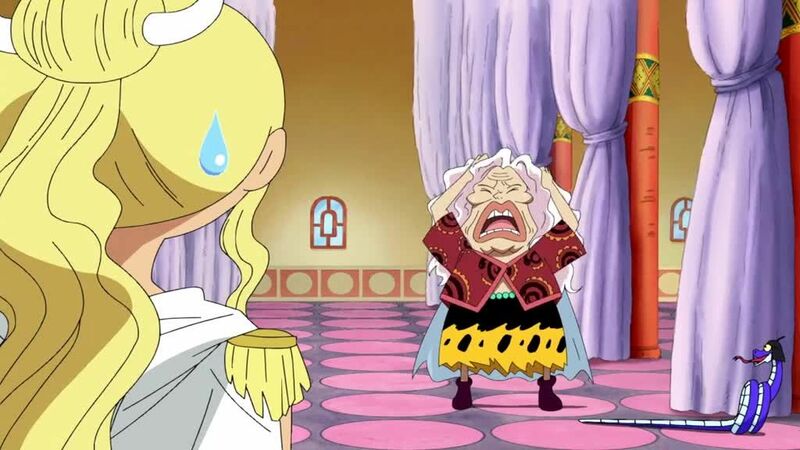 Stream Anime One Piece Episode 411 Online English dub The Secret Hidden on the Backs – Luffy and the Snake Princess Meet. Hancock’s ship reaches Amazon Lily and she returns to her palace. Nyon, a former ruler of the island, urges Hancock to answer the summons in order to keep the treaty that protects her people, but Hancock refuses and throws her out a window. Hancock goes to take a bath, and some of the villagers discuss a legend that states that Hancock and her sisters defeated a Gorgon, but received eyes that turn anyone who looks at them to stone. Luffy, searching for someone from whom he can borrow a ship, falls into the bath. He sees something on Hancock’s back that surprises him, but does not turn him to stone.